Kamerpower team always have its viewers best interest at heart, so we always make sure we bring to your door step any article that will be of help to you all, especially as all GCE candidates preparing for their registered subjects this year 2015. 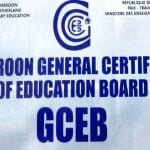 Cameroon GCE A Level French syllabus 2015-2016. The French Advanced Level course, which is a sequel to theFrench Ordinary Level course, is designed to intensify the government language policy options spelled out in the Ordinary Level syllabus namely; official bilingualism, biculturalism, national integration and professionalism. The Advanced LevelFrench Certificate Examination therefore assesses requisite skills in: reading, writing, listening, modern communication, critical analyses of literary texts and in any other areas of current interest: culture, music, arts, architecture, etc. The examination structure will accommodate changes, innovations and challenges in the world environment. The main aim of this syllabus is to assess the candidates’ mastery of the content of the teaching syllabus. a To allow for a variety of approaches to learning and using French beyond the standard of proficiency associated with the Ordinary Level. b To encourage the development of linguistic and general study skills for the purposes of personal, vocational and higher education. (i) The ability to understand spoken French. (ii) The ability to read and understand written French. (iii) The ability to write French with accuracy and fluency. 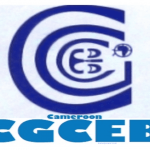 (iv) The ability to interpret and translate from and into the two official languages of Cameroon. d To morally, culturally and intellectually enrich the learners’ personality. Next story Liste d’aptitude 2015: On inclusion on the short list to the ranks of Lecturer, Senior Lecturer and Professor in the University Institutions (session from 26 to 30 May 2014 regularization).